Robert Watson may have been the man of this name who was born at Fintona, County Tyrone, Ireland, on 20 November 1810. His wife was Jane Shearman (died 1911). He died on 5 August 1893. They are buried with their children Robert Samuel Watson and Margaret Scarlett Scott-West in the Presbyterian section of Rookwood Cemetery. Note that genealogical information above is speculative only and requires further research for confirmation. 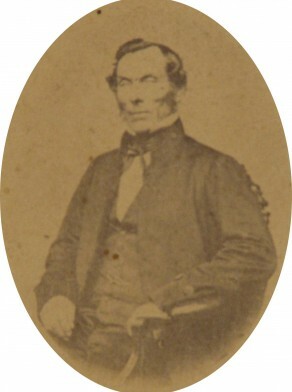 Robert Watson was elected to Sydney City Council as Alderman for Gipps Ward from 1 November 1852 until 31 December 1853 when the Council was replaced by City Commissioners. He was re-elected on 28 January 1859 and served until 30 November 1864.